"Pig! Cake! Borsch! 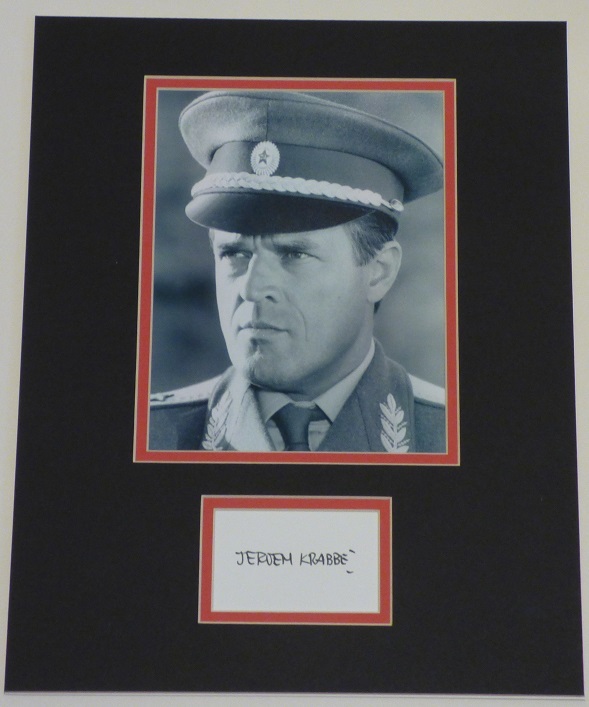 There must be another way..."
This superb display features a portrait of the Russian General Georgi Koskov from the classic James Bond film The Living Daylights and the signature of the talented actor who played the role - Jeroen Krabbe. The piece has been matted to an overall size of 14x11 making it the perfect item for any 007 fan! A two-faced, smooth talking, double-crossing swindler who carefully plays both sides of the Cold War. Koskov gives the impression of a somewhat anxious pawn in the battle between the USSR and Britain, when he is, in reality, a mastermind using all means to his own advantage. He is prepared to dote on his mistress and give her all manner of expensive gifts (the prize among which is a Stradivarius cello), but when necessary will easily sign her death warrant. After Bond helps Russian officer Georgi Koskov make a daring defection to the West, the intelligence community is shocked when Koskov is abducted from his remote hiding place. Bond leaps into action, following a trail that leads to the gorgeous Kara, who plays Bond as easily as she plays her Stradivari cello. As they unravel a complex weapons scheme with global implications, they are forced into hair-raising chases, a riveting jailbreak, and an epic battle in the Afghanistan desert with tanks, airplanes, and a legion of freedom fighters on horseback. Don't forget that all of items come with a lifetime guarantee of authenticity and full details of their pedigree. We are proud to abide with the UACC Code of Practice. For more information about the authenticity of our items read the 'About Us' section of this site. The Bond films are a British institution which have been entertaining audiences since Dr No first hit screens in 1962. Sean Connery, Roger Moore, George Lazenby, Timothy Dalton, Pierce Brosnan and Daniel Craig have all provided different takes on Ian Fleming's literary character and 007 has remained as fresh and appealing as ever. This is your chance to let the world of espionage into your home. 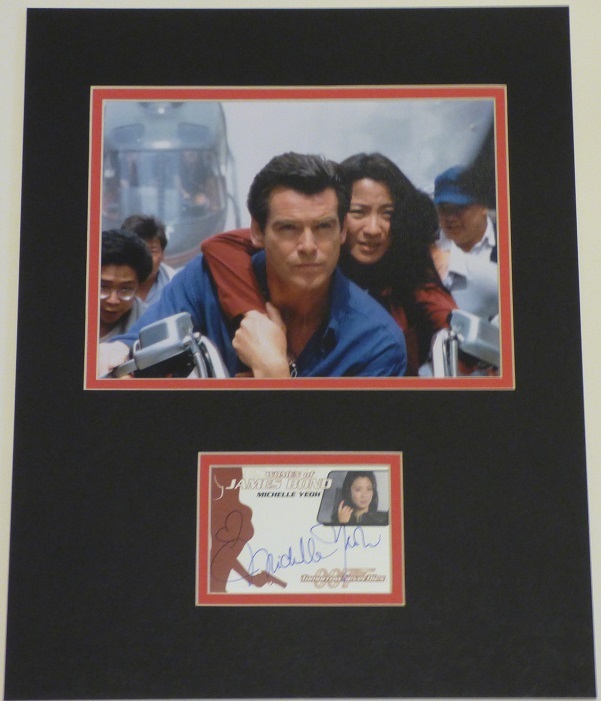 This piece is a most definately licensed to thrill - don't miss out!